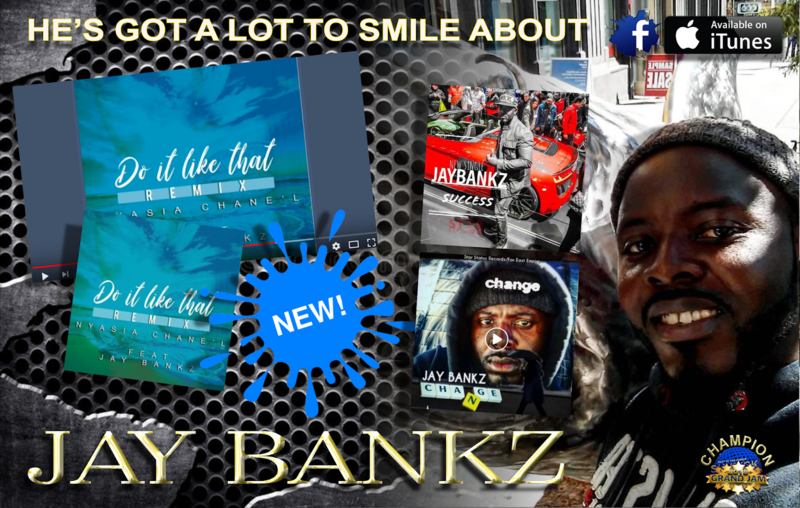 2018 is a good year for Jay Bankz, early Jan he won a 6 week race to search for TOP INDIE DANCEHALL ARTIST 2018. Shortly after Jay Bankz threw down TWO singles ( Success and Change) that mashed up a global fan base.. His newly released single 'CHANGE" immediately placed him back into GRAND JAM 2019 by his fans. You have to keep your eyes wide open for this talented and determined up and coming artist or he will pass you by in a blur..
What makes Jay Bankz different from all the other artistes which are emerging is his unique sound, work ethics, discipline, drive and determination for success . He is filled with confidence and believes strongly in building a dynamic fan based, thus Jay Bankz invites all music lovers to give a listening to his works, he is positive you won’t regret it.